In Issue 6 of Reflections, there was a oversight with the date for our next Parents’ Association meeting. The next meeting will be on Tuesday June 17th at 6.30pm. 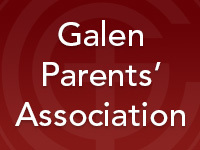 The Parents’ Association is still looking for a new President. If you would like to be directly involved with what’s going on at your children’s school, this Committee is a great opportunity for that. Unlike Primary school, our secondary school Parents’ Association does not require a very big time commitment, we meet twice a Term, the 2nd Tuesday of each Term and the 2nd last Tuesday of each Term. It is very rewarding being able to have a say on where Parents’ Association money is spent throughout the school. Last year we organised and paid for the building of the Senior School tea, coffee, food prep shed, this year we will be looking at perhaps providing some shade shelters for the Year 9s.